Join us for our 3rd Book Club "Meeting"
Sunday, May 5th - 11:00 am Book Signing & Reading!!! Katie Arnold shares her story of love, loss, renewal, adventure, obsession and ultimately the power of running to change your life. Running Home is a memoir about the stories we tell ourselves to make sense of our world - the stories that hold us back, and the ones that set us free. Losing her father unleashed a perfect storm of grief and anxiety. Nearly paralyzed by fear and terrified that she was dying, too, she turned to the thing that had always made her feel most alive: running. Over the course of three tumultuous years, she ran alone through the wilderness, logging longer and longer distances. She ran to heal her grief, outpace her worry that she wouldn't live to raise her own daughters. She ran to find strength in her weakness. She ran to remember and to forget. She ran to live. Deeply exhilarating, it is a book for anyone who has been knocked over by life, or feels the pull of something bigger and wilder within themselves. Arnold is the Leadville Trail 100 Run women's champion and a contributing editor at Outside Magazine for the last twelve years. Her "Raising Rippers" column about bringing up adventurous, outdoor children appears monthly on Outside Online. She has written for The New York Times, Travel + Leisure, Sunset, Runner's World, ESPN: The Magazine, Elle and many others. Her narrative nonfiction has been recognized by Best American Sportswriting. 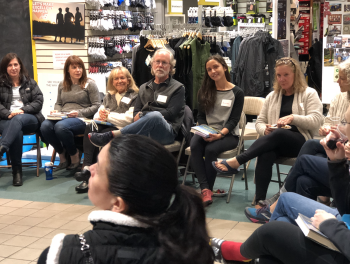 Event includes a 3-mile fun run with Katie Arnold and then back to Fleet Feet Montclair for a book reading and signing! Healthy baked goods will be provided, but bring your own dinner if you’d like! Dog ear pages, highlight passages or jot notes in the margins. 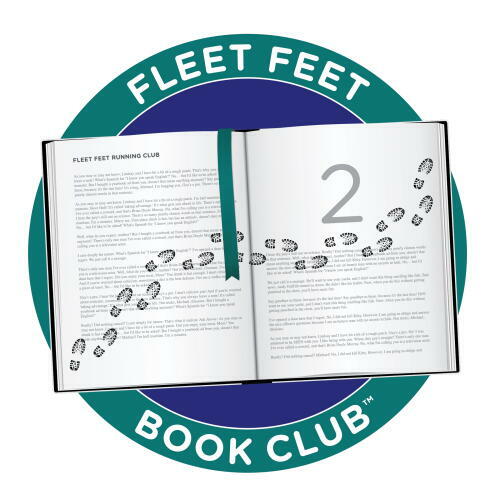 For our future books, e-mail your favorite passages and/or discussion thoughts to: loren@fleetfeetmontclair.com.